My family falls under the Chaya Mindle Vershook branch. Her children includes Dora Brachman Ginsberg, Sol Brachman, Abe Brachman, Eli Brachman, and Lillian Brachman Raimey. Lillian Raimey was my grandmother and the youngest of nine children. Four died before she was born. The whole Brachman family settled in Marietta, Ohio after coming to the U.S. from Latvia, Russia. They eventually migrated to Fort Worth, Texas where many of their descendants still live including my mother, Karen Raimey Kaplan. Al Kaplan, my father, passed away on Christmas 2007. Karen is doing fine. Mom is an only child. My husband and I live in Plano, Texas (about 20 miles north of Dallas) with our daughter (14), two sons (9 and almost 5) and a dog. Paul works as an IT manager for Retalix while I’m the freelance writer behind meryl.net. We just had our first Bat Mitzvah last year and you can see plenty of pictures of the family. My sister, Elisa, lives in Dallas with her husband and dogs. Elisa works as an information architect and usability expert for a contract company. My brother, Michael, lives a few miles from me in Plano with his wife and daughter who is in 4th grade, and a dog. Michael has his own business as a computer consultant who installs and repairs computers. 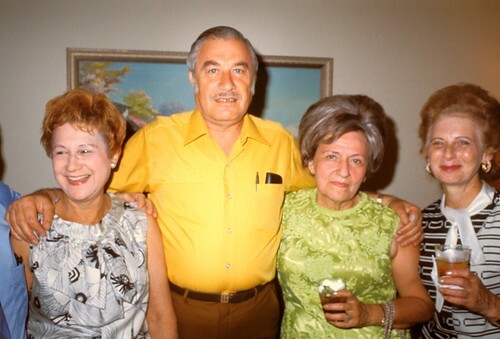 This picture shows from left, Miriam Lurie, Sidney and Lillian Raimey, and Goldie Lurie. 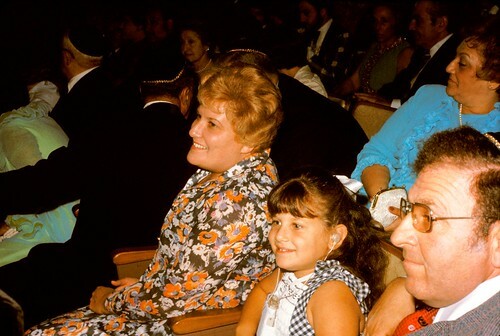 And below is my mom (Karen Kaplan), me, and my dad (Al Kaplan) from when we visited Baltimore and Washington, DC around 1979-80. Feel free to drop us a line through my contact form (don’t want spambots getting my email address).